There was a time when you could count the number and types of cryptocurrency on one hand. Today that is no longer possible. The crypto market has grown, grown and grown some more! Before learning about the top types of cryptocurrency, it’s important to understand what cryptocurrency is. If you already feel comfortable with your knowledge in this area, please feel free to skip the next section — scroll down to “The Three Main Types of Cryptocurrency”! The prefix crypto- stands for “cryptography,” which is a technology that keeps information safe and hidden from attackers. You may have heard of cryptography in history class — it was used to send and receive secret messages by the Allied Forces in World War II. In present day, computer technicians put cryptography to use in many different ways. One of those ways is cryptocurrency! Decryptionary.com defines cryptocurrency as “an electronic money created with technology controlling its creation and protecting transactions, while hiding the identities of its users.” For now, you can forget about how types of cryptocurrency are created, and instead focus on what it does. Thanks to cryptocurrency, people no longer need to trust banks to handle their money and private information (that’s the same for credit card companies, too). We don’t need banks to process our transactions anymore. Instead, transactions in cryptocurrency are processed on the blockchain. The blockchain is a shared database. It is shared because it is run by lots of different people and companies, instead of just one company, like the banks are. This way, nobody has power over the transactions or the cryptocurrencies involved, and you don’t need to trust one single company (like a bank) to handle your money. LOCKED VIDEOSIGN UP TO UNLOCK. IT’S FREE. If this is the first time you’ve heard about blockchain technology, you should check out my other guide on Blockchain Explained! Anyway, let’s move on to the three main types of cryptocurrencies. The blockchain brings together the three main types of cryptocurrency. Bitcoin was the first blockchain (skip to the Bitcoin section for more information on how it started and what it does). After Bitcoin, many new blockchains were created — these are called altcoins. NEO, Litecoin and Cardano are solid examples of altcoins. Finally, I must introduce you to tokens/dApps — the third main type of cryptocurrencies. Examples of these include Civic (CVC), BitDegree (BDG), and WePower (WPR). In 2008, the idea of Bitcoin was revealed. Someone named Satoshi Nakamoto published the whitepaper online. However, it was later revealed that Satoshi Nakamoto was not this person’s real name. Even today, no one knows the real name of the creator of Bitcoin! At the time, nobody knew that Bitcoin would become what it is today. Nobody knew that it would be the start of a huge technological movement… but it was. It was the beginning of cryptocurrencies — the beginning of a new era. You probably know what happened next. Several years passed in which the primary use of Bitcoin was to trade goods and services on the dark web. Ever heard of Silk Road? Yeah, that’s what I’m talking about. In 2013-14, Bitcoin grew a lot. Then, it slowed down a bit. But in 2017, the market for Bitcoin went up, up and further up. This time, it went a lot further. In December 2017, Bitcoin reached a price of $20,000 per Bitcoin. So, anyone holding 50 Bitcoins or more became a millionaire. In January 2015, 50 Bitcoins would have cost you just $10,000. That’s a profit of $990,000! Crazy, right?! It is a digital currency that you can send to other people. This may be as a gift, for services or for a product. You get the idea — it’s just like the money we use in our bank accounts (USD, EUR etc.). But it’s digital; it isn’t physical. However, that isn’t all that makes it different. It’s also decentralized, meaning it doesn’t rely on a bank or third party to handle it — which I explained earlier in my definition of a cryptocurrency. 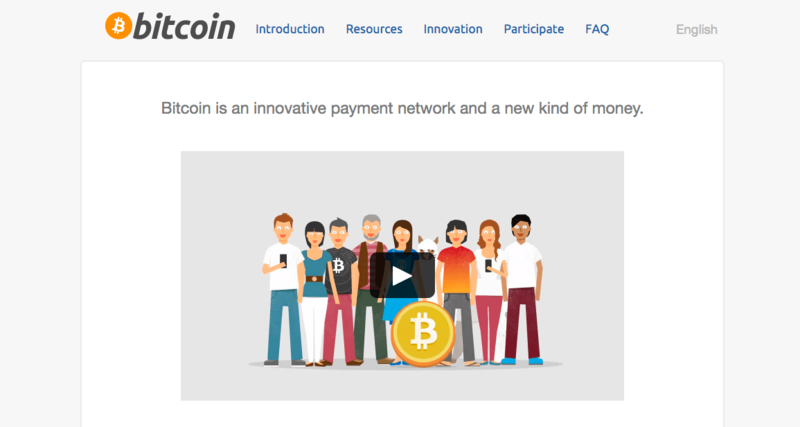 With Bitcoin, each transaction happens directly between users — it’s called a peer-to-peer network. This is all possible thanks to the blockchain. Bitcoin introduced blockchain technology to allow users to send and receive Bitcoin without using a third party. Because you don’t need a third party, you don’t need to identify yourself. You can make payments without revealing who you are etc. When someone sends Bitcoin, the transaction is verified and then stored on the blockchain (the shared database). The information on the blockchain is encrypted — everyone can see it but only the owner of each Bitcoin can decrypt it. Each owner of Bitcoin is given a ‘private key’, and this private key is how they decrypt their Bitcoin. But, if the banks don’t verify/process the transactions, then who does? Remember when I told you that blockchains are run by lots of different people and companies instead of one single company/person? Well, the people and companies that run the blockchain do it using computer power. They run special software on a computer that process transactions on the blockchain. Quick tip: The computers used to run the software are called ‘nodes’. The nodes are rewarded for verifying transactions — they’re rewarded with new Bitcoin. This is how new Bitcoins are created. You can compare it to gold mining, in which the miners are rewarded with Gold. In Bitcoin mining, the nodes are the miners — they mine for new Bitcoin. When a new block of transactions is sent to the blockchain, the miners/nodes will verify the block using an algorithm called PoW (Proof of Work). In PoW, the first miner to verify the block is rewarded with new coins. There are other algorithms used in other blockchains, but we’ll get to that in the next section. Next, we have altcoins. Right now, there are more than a thousand altcoins in existence! But don’t let that number scare you — the majority of altcoins are just alternate versions of Bitcoin with minor changes. That’s how they got the name ‘altcoins’. It’s important to understand, though, that not all altcoins are just alternate versions of Bitcoin. There are some that are very, very different to Bitcoin and have very different goals/purposes. Some altcoins use different algorithms to Bitcoin. For example, Factom is an altcoin that uses PoS (Proof of Stake). In PoS, there are no miners. Instead, there are stakers. Stakers are people that verify transactions for rewards, just like miners. But instead of racing to verify a block before anyone else does, they are selected one by one to take their turn. This uses much less electricity because their aren’t thousands of miners using their electricity to try and verify the same block. Instead, there is just one ‘staker’ per block. You see? Not all altcoins are super similar to Bitcoin. In fact, Ethereum and NEO are examples of altcoins that are super, super different to Bitcoin. You know that Bitcoin is used as a digital currency, right? Well, Ethereum and NEO were not designed to be used as a digital currency. Instead, they were designed as huge platforms for building apps on a blockchain. That’s right — on Ethereum and NEO, you can actually build your own applications. This is the most common way that new cryptocurrencies are created; they are made on blockchains that allow app building, like Ethereum and NEO. This is all possible because Ethereum introduced a new technology to the crypto world when it launched in 2015. This technology is called a smart contract. A smart contract can automatically execute transactions when certain things happen. These ‘things’ (also called conditions) are written into the smart contract when it is created. For example, a condition could be something like “WHEN Peter sends 120 Ether into the smart contract, THEN John’s house will be sent to Peter”. Because of smart contracts, no third party is needed. Bitcoin means there is no third party needed in direct payments, but smart contracts mean there is no third party needed in lots of things — like the sale of a house, the sale of electricity or the sale of a stock on the stock market. Of course, you can’t actually put electricity into a smart contract, can you? So, instead, you put a token into the smart contract that legally represents the electricity. This is one of the best things about smart contracts on Ethereum and NEO etc. — you can tokenize real things and put them on the blockchain. The third main type of cryptocurrency is a token — the same kind we’ve just been talking about! Out of the three main types of cryptocurrency, these are the ones I find most interesting. Compared to the other two main types of cryptocurrency, they are completely unique in the fact that they do not have their own blockchain. They are used on dApps (decentralized applications); these are the apps I told you about that can be built on blockchains like Ethereum and NEO. The dApps are built to use smart contracts, which is why they use tokens. Their tokens don’t have to represent a physical thing like electricity or a house, though. They can instead be used to purchase things on the dApp. Either that or they can be used to get certain advantages — things like discounted fees and voting fees. Tokens always have a price that they can be sold for, which is why some people buy them. Some people buy tokens to sell them later for a higher price, instead of buying them to use them on the dApp. Because dApps are built on other blockchains (like Ethereum and NEO), a token transaction is still verified by the nodes on the Ethereum or NEO blockchain. This means the transaction fee is still paid with Ether or NEO, and not with the token. So, to make a transaction on a dApp (i.e. to use a token), you must have some Ether or NEO (or whichever altcoin the dApp is built on) to pay for the transaction fees. Quick tip: To pronounce dApp correctly, say “dee-app”. So, we’ve now covered the different types of cryptocurrency. In this section, I will cover the top cryptocurrencies. I’ll go over four of the top cryptocurrencies and write a short list of pros and cons that come with each one. As we’ve already covered Bitcoin, I won’t repeat myself. So, I’ll skip the Bitcoin description and jump straight into the pros and cons of Bitcoin. There will only ever be 21 million Bitcoins. Most of these Bitcoins already have been mined by users. There are currently around 17 million Bitcoins, so there are around 4 million left to be mined. This low limit for Bitcoin is good for the price — if a lot of people want Bitcoin but there aren’t many Bitcoins available, the people that want Bitcoin will pay more for it. That would make the price go up! Bitcoin is easier to liquidate than rival cryptocurrency types. This means it is easier to convert Bitcoin into cash. That’s right — because Bitcoin is so popular, it is easier to exchange your Bitcoin for fiat currency like USD and EUR. Also, Bitcoin is on almost every crypto exchange on the internet. This means the trading volume is super high! In fact, it’s the highest of all cryptocurrencies. More stores accept Bitcoin than other cryptocurrency types. You are able to buy just about any item using Bitcoin through the hundreds of online sellers which accept the cryptocurrency. This is another way you can liquidate your Bitcoin — rather than convert it back into cash, you can just spend it like you would with cash. Bitcoin is the biggest cryptocurrency. Bitcoin was the first crypto, and it is the biggest. It currently dominates over 40% of the market, which is huge! Many people believe that Bitcoin will always be the biggest (but you should remember that’s just an opinion and that no one actually knows what will happen). Bitcoin fluctuates a lot. This means the price of Bitcoin changes a lot every day. In fact, the Mt. Gox collapse actually caused Bitcoin’s price to fall 50% below what it was the day before. Some investors like fluctuations, but the people who lose money because of fluctuations, definitely do not like them. Bitcoin may be replaced by a better cryptocurrency. As we mentioned in the section on altcoins, there are hundreds of variations on Bitcoin in existence today. Bitcoin is almost 10 years old now. Any of these newer coins could eventually replace Bitcoin — they are newer and further advanced. People still use Bitcoin for crime. The reputation of Bitcoin is improving since its early days on Silk Road, but it’s still not perfect. We only hear of few people being prosecuted for using Bitcoin illegally, but there are probably a lot more people that use it illegally and don’t get caught. These include things like scams and avoiding taxes. 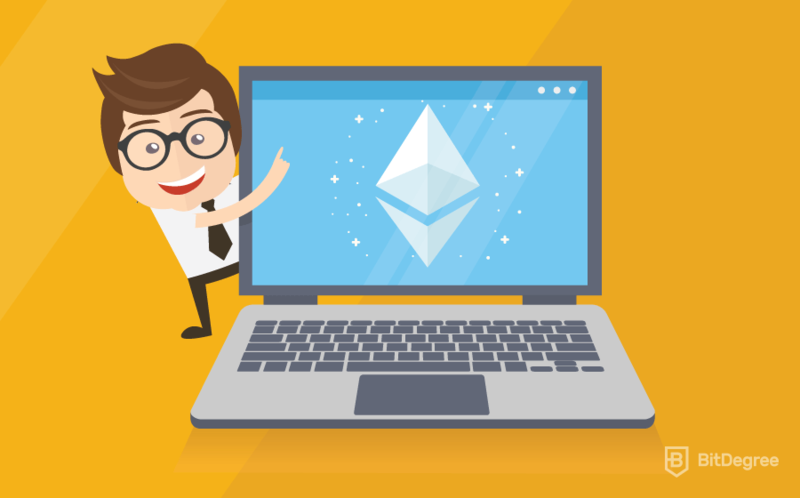 In contrast to Bitcoin, Ethereum is a platform that allows people to build dApps, tokens and smart contracts. Its currency is called Ether (ETH). Users of dApps built on Ethereum will always need Ether. They need Ether to pay for transaction fees on the dApps, because the dApps run on the Ethereum blockchain. So, just like the peanut butter jelly sandwich, Ether will never go out of style! Many new projects are being built on Ethereum. Most of these projects will take years to develop, however, a lot of them could be huge when they are completed. Speed. Ethereum can process transactions in a matter of seconds, whereas Bitcoin’s transactions take upwards of 10 minutes. There are many more Ether coins than there are Bitcoins. Earlier, we talked about how part of Bitcoin’s value comes from the fact that there is a limited supply. This is not the case with Ethereum — there are almost 100,000,000 Ether coins at the moment and they will never stop being created. However, the rate at which they are being produced will slow down greatly, so it isn’t much of a problem in my opinion. Basically, Ripple is a blockchain that is designed to be used by banks to make their payments faster. It is known as the banker’s coin, and there are many partnerships with global banks currently being worked on. Big, well-respected companies (like global banks) are trusting Ripple. Huge financial organizations (such as banks and governments), have partnered with Ripple. Many more are yet to partner but have plans to. So, as an alternative to fiat currency, Ripple may be the best option for you within the world of finance. Because it is working with governments, the power it has to be widespread could be the reason it succeeds. Unlike other cryptocurrencies, Ripple isn’t decentralized. Instead, it is centralized. The company behind Ripple (called Ripple Labs) owns most of the Ripple tokens (XRP). So, if they wanted to, they could sell all of their tokens and the price of XRP would go down a lot. This is extremely unlikely, because they wouldn’t want to sell all of their tokens. But, I have to make a point about it because it is still possible. Litecoin is a fork of Bitcoin! So, basically, the blockchain of Litecoin used to be a part of Bitcoin’s blockchain, but it split when the Litecoin update was offered. So, it’s very similar but it has different features to Bitcoin. It was created to improve upon what Bitcoin had created. Litecoin has been in the news a lot lately because it will be the first cryptocurrency to use the Lightning Network. The Lightning Network solves a lot of issues for cryptocurrencies, such as scalability — using the Lighting Network, Litecoin will be able to process many more transactions per second. Litecoin is both faster and much cheaper than Bitcoin. Litecoin transactions take seconds, like Ethereum transactions. Bitcoin transactions take upwards of 10 minutes. Also, Bitcoin transactions can be costly, which makes them pointless for sending small amounts. As Litecoin transactions are much cheaper, Litecoin is a lot better for micropayments (small payments), which is why it is called “Lite”coin. Litecoin is still only a slight improvement on Bitcoin. If Bitcoin can improve so that it can scale and offer cheaper & faster transactions, there might not be much need for Litecoin. For more information on Litecoin, its position in the market and its pros and cons, read our Litecoin Price Prediction guide. 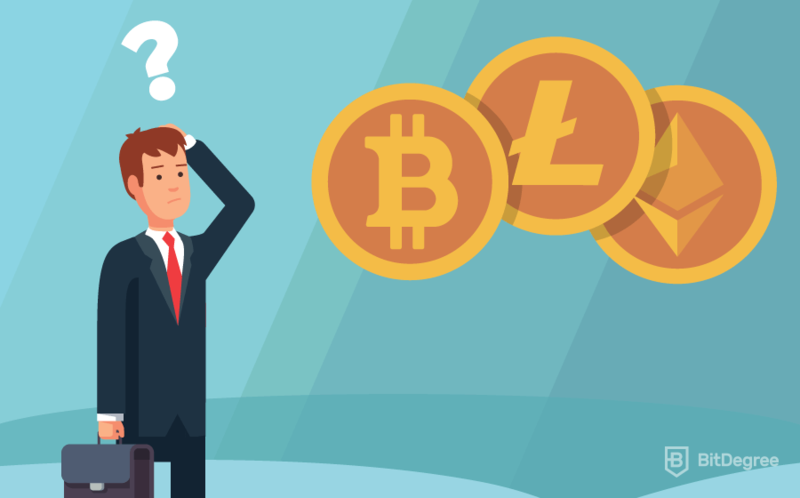 After reading this guide, you should be much more familiar with the most popular cryptocurrencies and the different types of cryptocurrency that exist. You know how they are different from one another, and you understand some of the pros and cons of each. This puts you in a much better position to start doing further research and making your own opinion on each of them. So now that you’ve read this guide, what do you think about the top cryptocurrencies and the different types of cryptocurrency? Which is your favorite? Let me know! Hey, Thanks for the article, it was very informative and straight to the point. I really loved it. Is there by any chance you can explain what master nodes are like Solaris(XLR) and what coins compete with it. I want to invest in different cryptocurrencies. Can you direct us to a website where we can compare different coins that serve a similar purpose for example: [Bitcoin&Litecoin or Ethereum & NEO] Basically I’m looking for coins that serve a similar purpose so I can decide what’s best to invest in. Thanks again. Cryptocurrency Trading: How to Start? Centralized vs Decentralized: What’s the Difference? NEO vs Ethereum: Is NEO The Next Ethereum?